The Philippine Carabao Center at the University of Southern Mindanao (PCC at USM) was adjudged 3rd place Top Seller among some 40 exhibitors who participated in the Cotabato Tourism and Trade Expo, popularly known as “Market-Market sa Kapitolyo”. The trade fair served as one of the main highlights of the observance of Cotabato province’s 100th founding anniversary, dubbed as the “Centennial Kalivungan Festival 2014”. 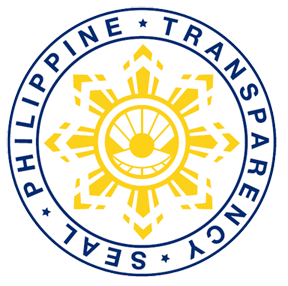 It was held August 25-September 1 at the Agri-Center, Capitol Compound, Amas, Kidapawan City. During the opening program, Gov. Emmylou “Lala” J. Taliño-Mendoza welcomed guests and participants. Guest of honor and keynote speaker was Dir. Nelly Nita N. Dillera, regional director of the Department of Tourism (DOT) in Southern Mindanao (Region XII). In her speech, she focused on the vast tourist attractions and agri-tourism potentials of Cotabato. 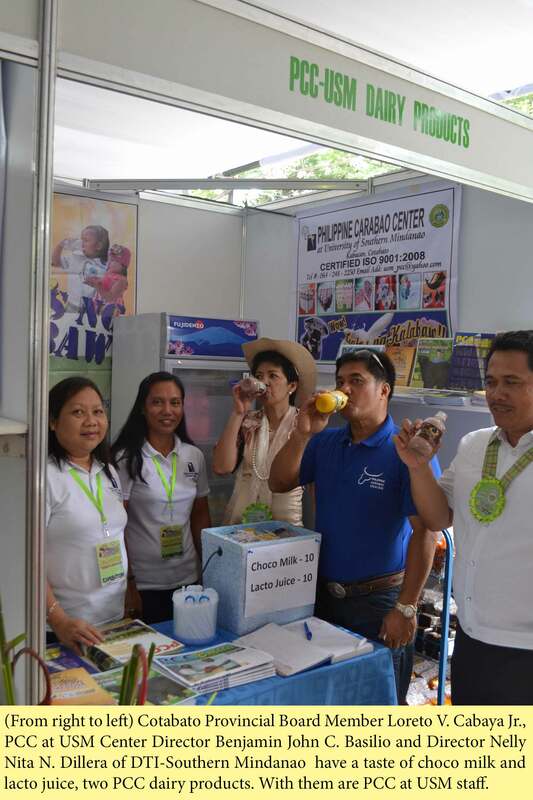 PCC at USM, which assists local dairy farmers in their carabao-based enterprises, highlighted in its display booth a variety of nutritious dairy products. It also provided information materials to those who visited the PCC booth as one way of promoting the center’s programs and services. Meanwhile, seminars and lectures regarding strategic marketing, costing and pricing, and market opportunities were held during the trade fair. Participating entrepreneurs were likewise given an overview on the ASEAN Economic Community (AEC) 2015. The event was also a venue where importers and exporters met with producers of various products for marketing possibilities. The center was awarded a cash prize and a trophy during the culmination program held on September 1. In his remarks, Dr. Benjamin John C. Basilio, PCC at USM center director, said that dairy enterprise is a potential market player in Cotabato province that can provide farmers with additional income.